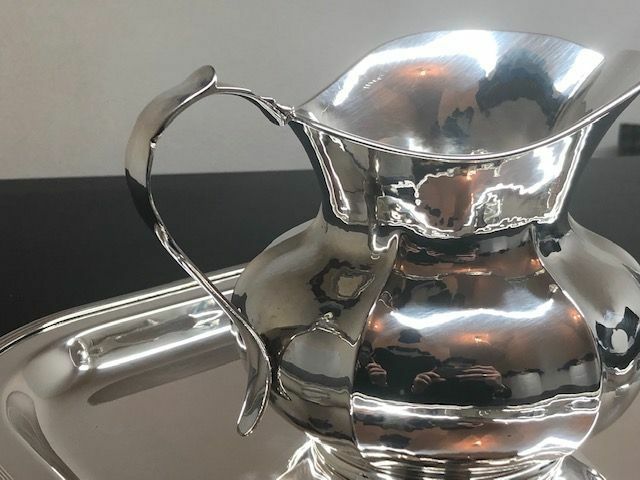 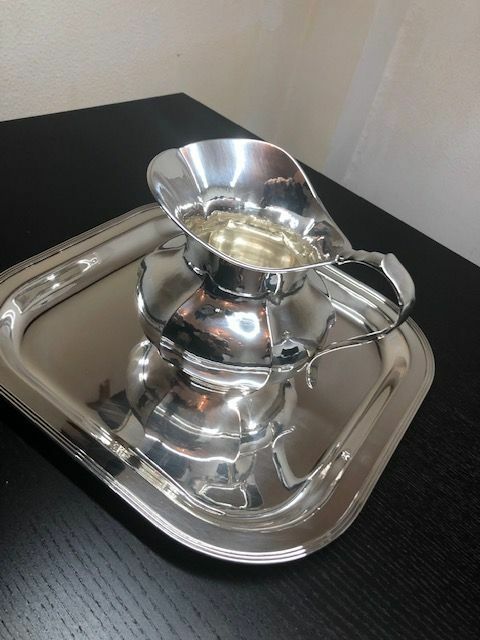 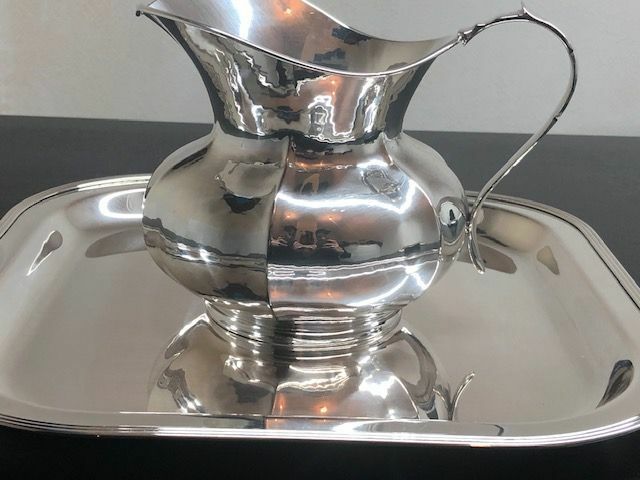 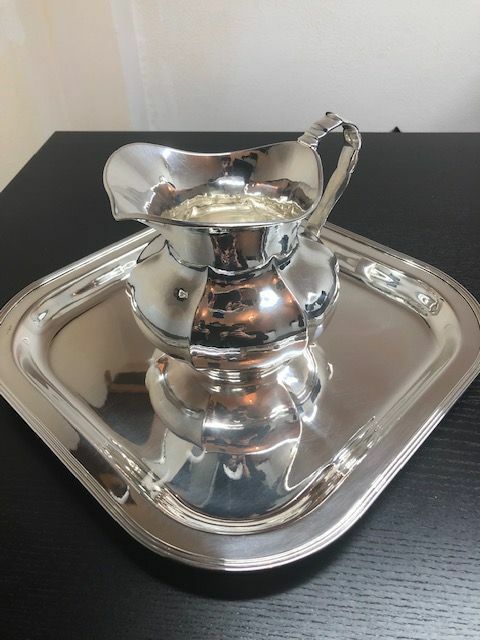 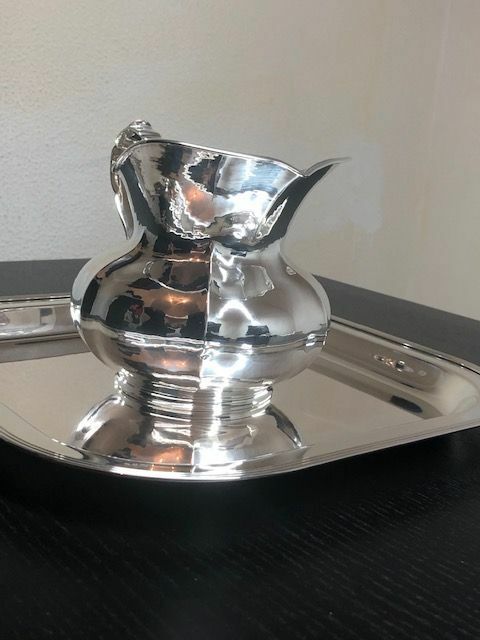 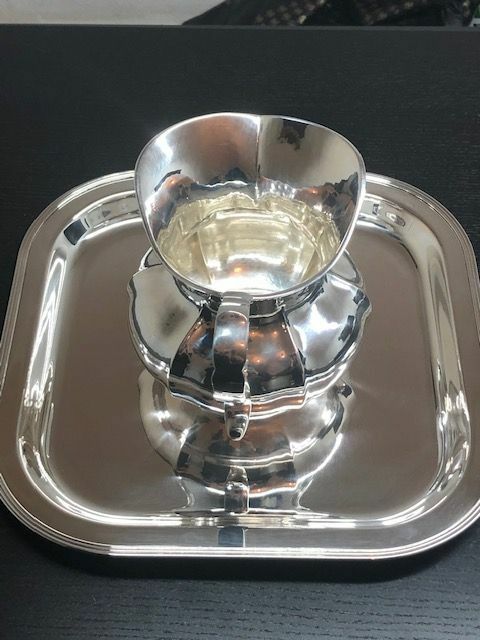 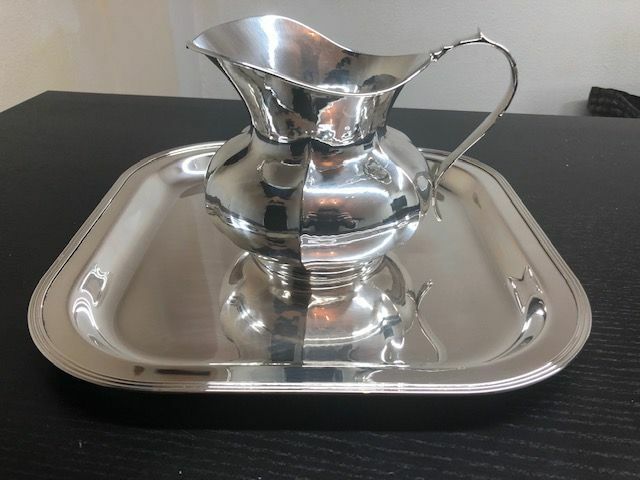 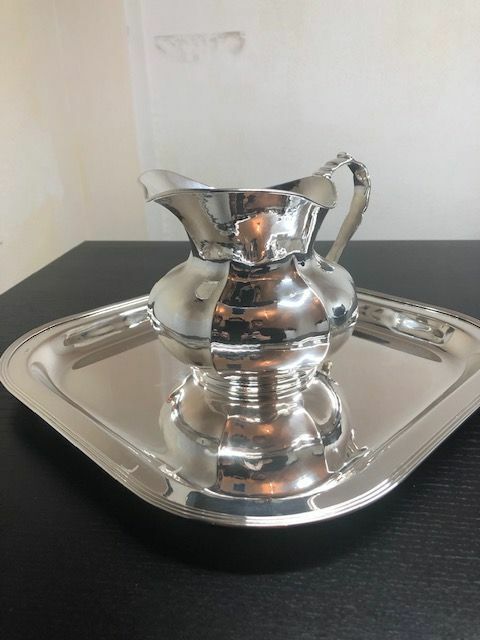 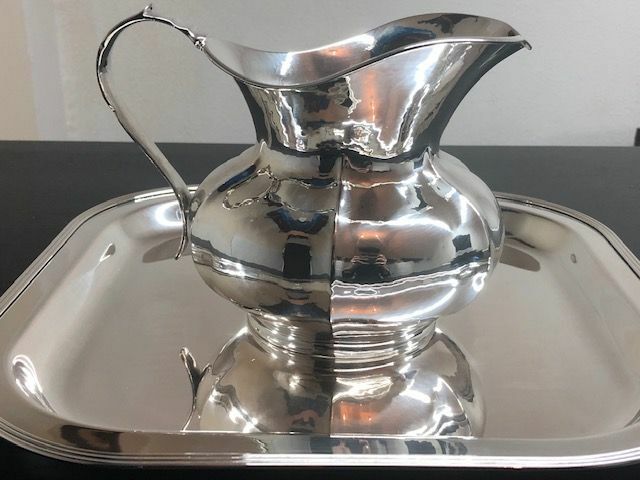 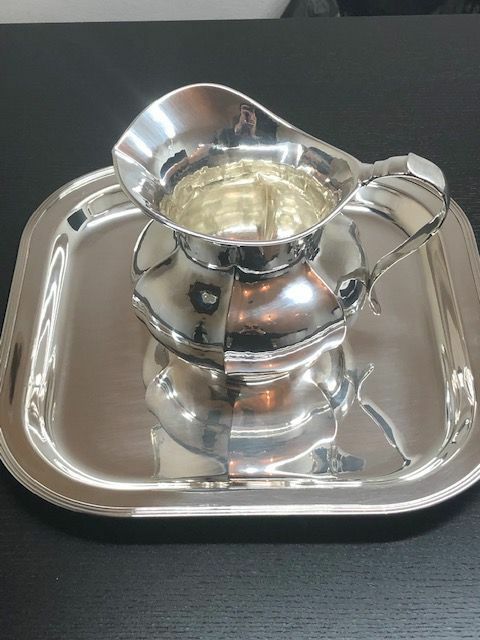 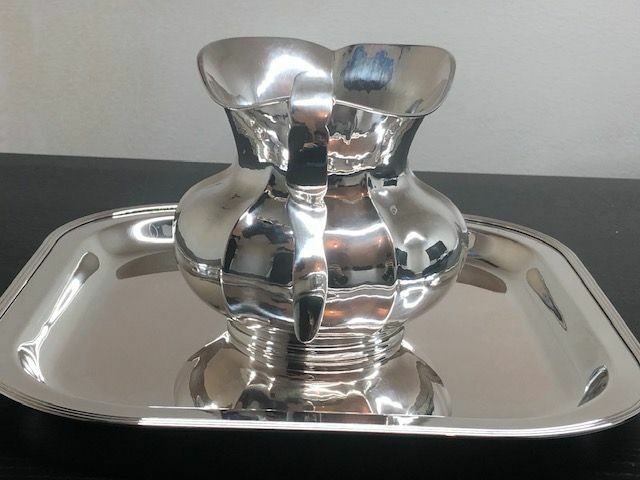 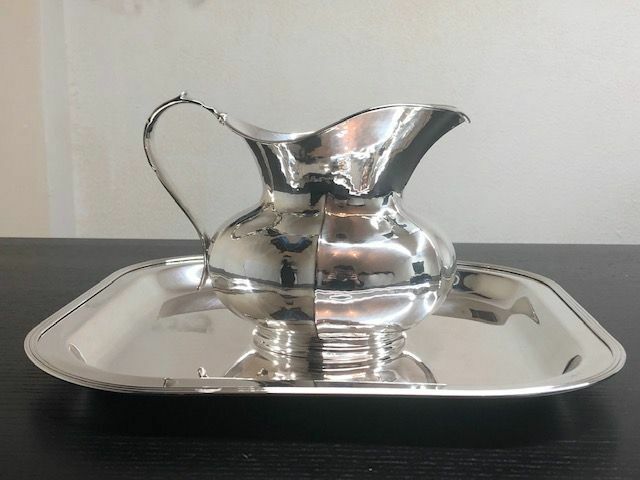 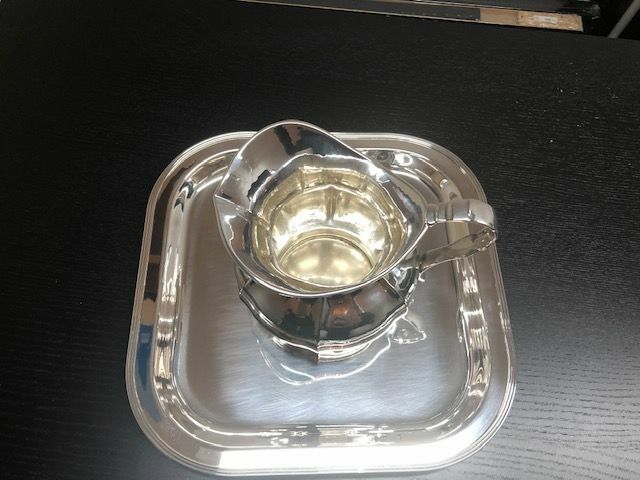 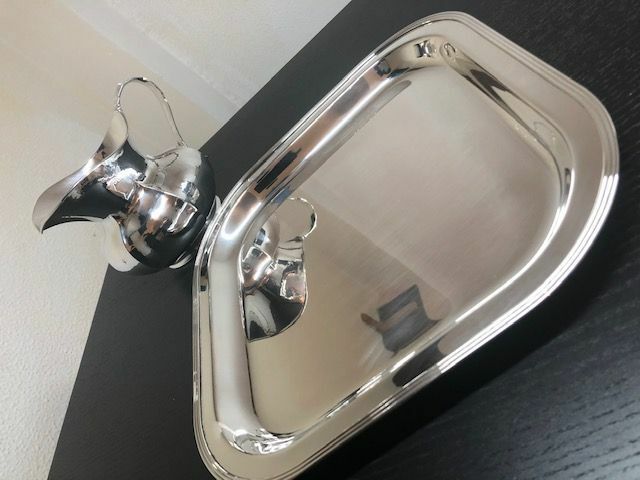 As per title, I am selling this gorgeous square tray in polished silver with carafe. 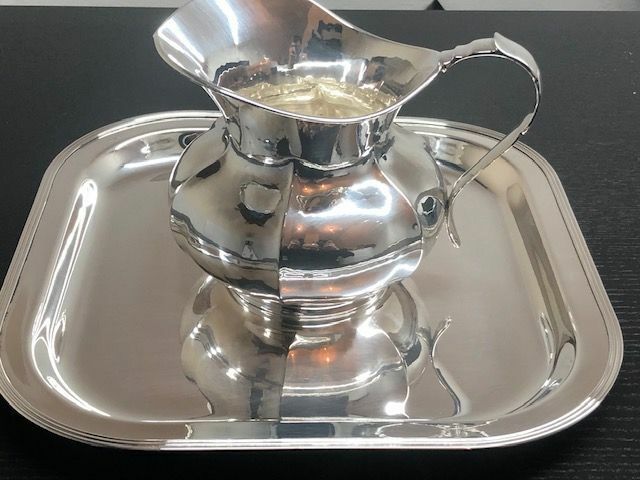 Both items come from the same collection and also bear the silversmith signature. 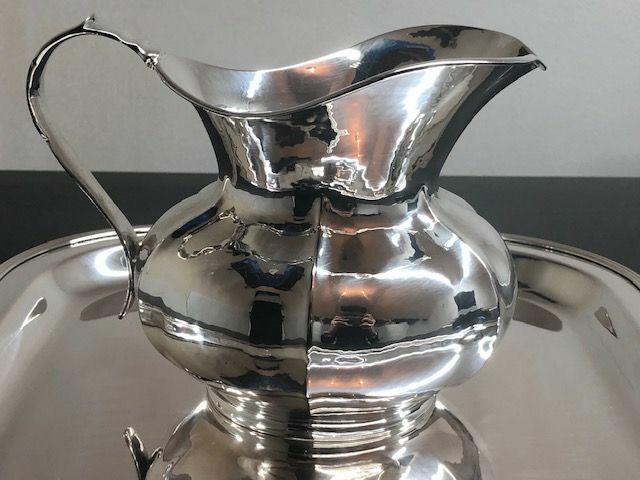 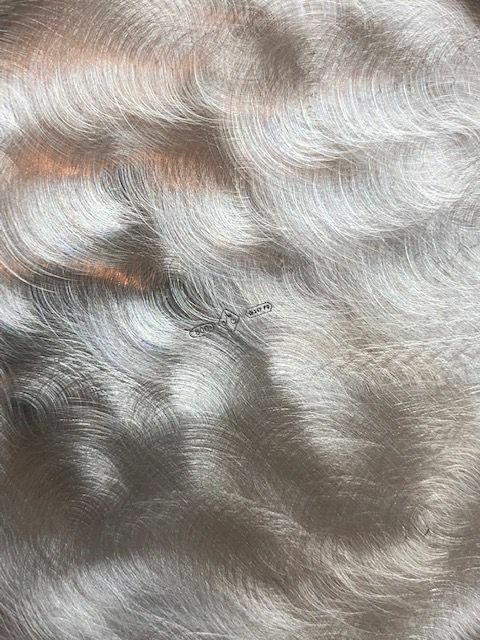 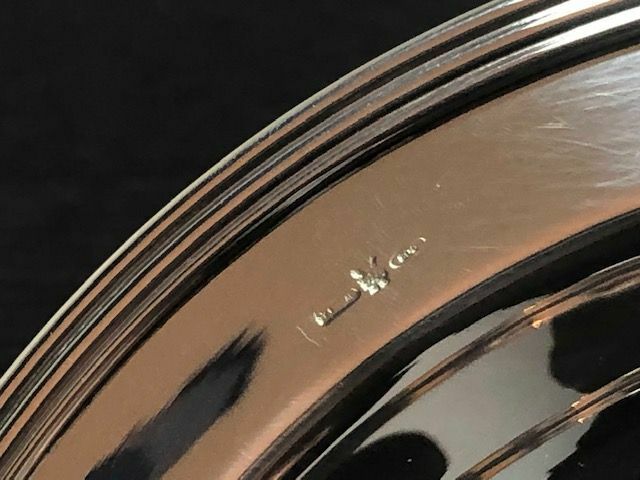 Silver 800/000, handmade in Italy. 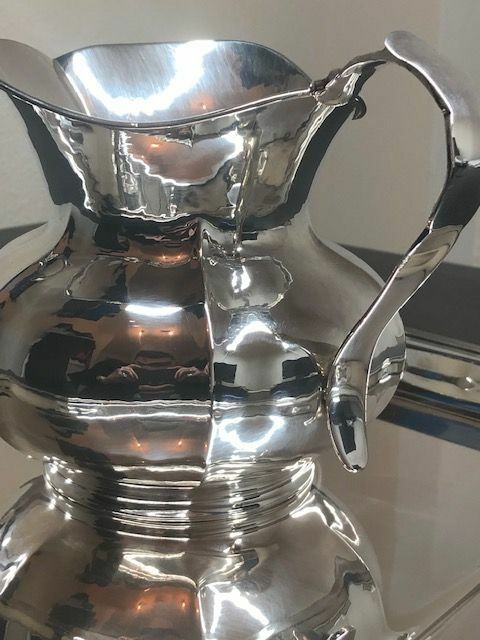 It also bears a silversmith’s hallmark. 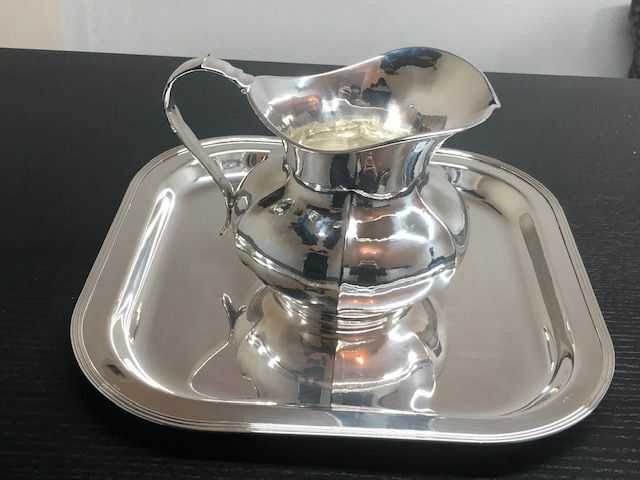 Origin: jewellery new old stock, from a private collection. 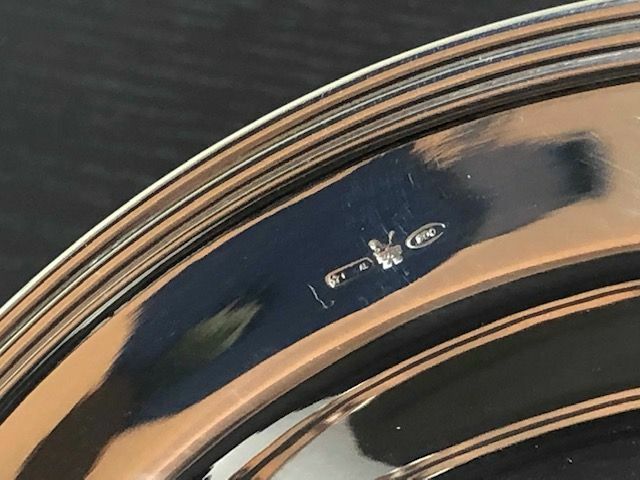 State of preservation: the item will be professionally cleaned prior to shipping.